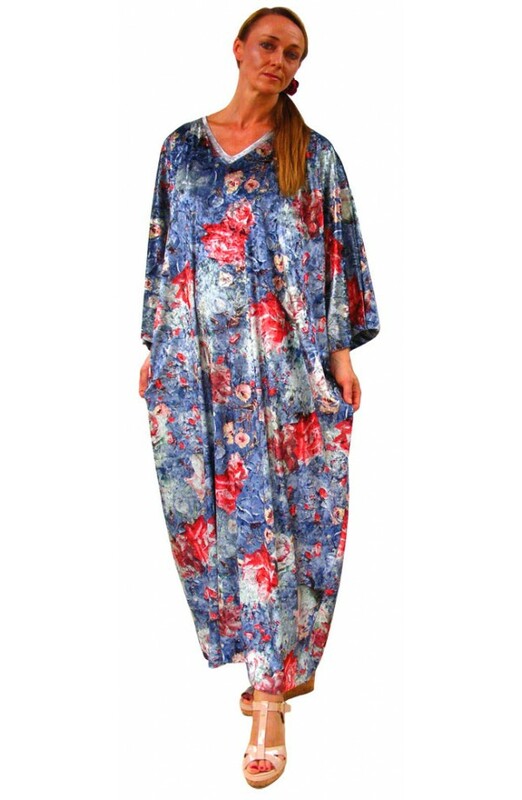 This kaftan is in various shades of blue, grey with muted pinky-red roses. The fabric has a tye-died effect background. The fabric has a lovely silky feel on the inside with a slightly crushed velour on the outside.